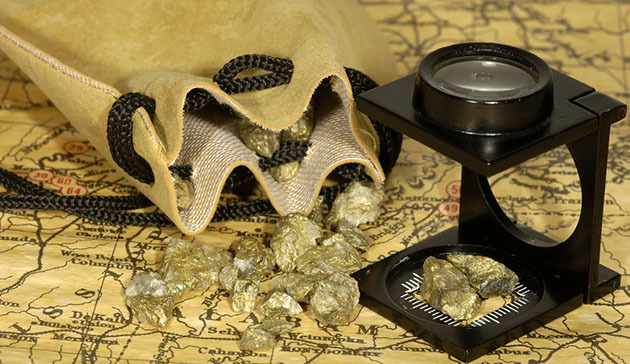 October 19, 2018 (Investorideas.com Newswire) A CIBC report reviewed the Q3/18 numbers for this gold and silver producer. In an Oct. 12, research note, analyst Cosmos Chiu described SSR Mining Inc.'s (SSRM:NASDAQ) Q3/18 results as "strong," due to "solid" operating performance at Marigold and Seabee and initial production at Chinchillas. "Overall, the company delivered another solid quarter of operational results and remains one of our Top Picks in the intermediate gold producer space," he wrote. Chiu provided the Q3/18 production numbers, both collectively and individually by mine, for SSR Mining's wholly owned assets. Total gold production was 86,000 ounces (86 Koz), higher than CIBC's estimate of 75 Koz. Total silver production was 0.7 million ounces (0.7 Moz), under CIBC's forecast of 0.8 Moz. SSR's management team expects to meet or beat full-year 2018 production guidance, he noted. Q3/18 gold production was highest at Marigold, where it increased 18% quarter over quarter (QOQ) and amounted to 58,459 oz. This was helped in part by more tons of ore having been placed on the leach pads during the prior quarter, Chiu noted. "With the addition of four haul trucks (placed in service during Q3/18), short haul distances and improved equipment availabilities, we believe Marigold is on track to achieve the high end of 2018 production guidance of 190–210 Koz of gold." An 18% QOQ rise in Q3/18 gold production was also the case at Seabee, where it totaled 27,831 oz. This resulted from a higher average mill feed grade and greater mill throughput. "We believe Seabee is on track to exceed the high end of 2018 production guidance of 85–92 Koz," Chiu wrote. The analyst also reported production numbers from the assets of SSR Mining's joint venture company, Puna Operations. Q3/18 production from those was as anticipated, with 0.7 Moz of silver and 3.2 million pounds (3.2 Mlb) of zinc produced. CIBC has an Outperformer rating and a $14 per share target price on SSR Mining, whose stock is currently trading at around $10.88 per share. CIBC World Markets Inc. expects to receive or intends to seek compensation for investment banking services from SSR Mining Inc. in the next 3 months.